Long-lasting copper-based antifouling for boats, with a high copper content for pleasure boats; recommended for both salt water and freshwater. It complies with EU standards. Available in a wide range of colors, it prevents the formation of algae and barnacles. The colors are indicative and may not be true to the original due to screen adjustments. 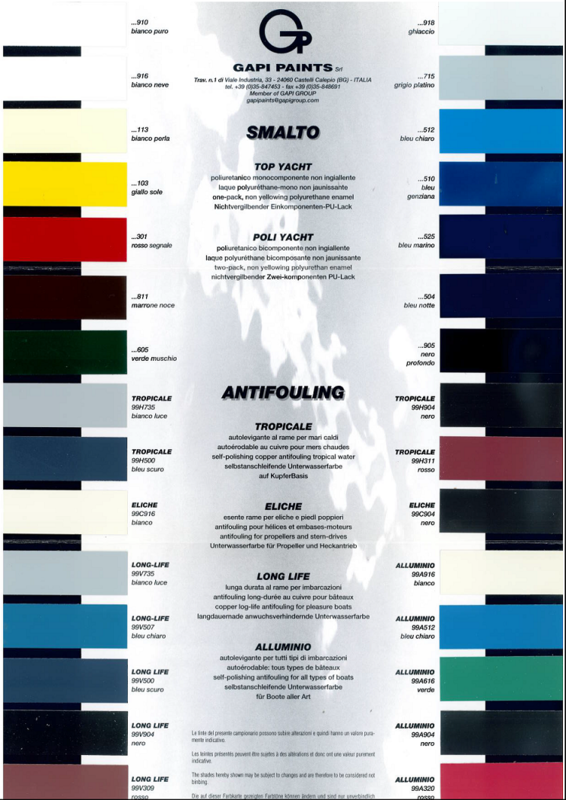 To discover the color chart, click here.